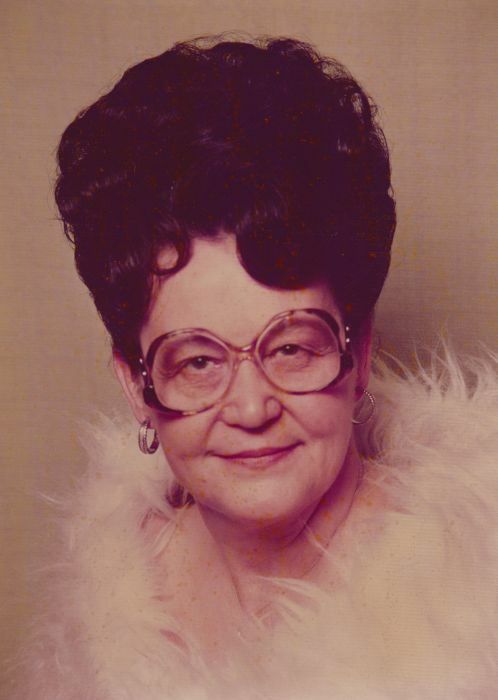 Matriarch of five generations, Clara Joe Thomas Boudreau was born June 18, 1927 in Childress, Texas. She left our side on September 11, 2018 but she will always be in our heart. Preceded in death by her parents Kelton & Minnie B. (Casey) Thomas; three brothers H. B. Thomas of Durant, Oklahoma, Bobby Jack Thomas of Santa Rose, California and Mickey Thomas of Nashville, Tennessee. She is survived by her sister Mary A. Thomas of Dallas, Texas; two sons Michael Hill of Plano, Texas and Kelton Hill of Mabank, Texas; daughter and son in law Joann & Roy Cox of Mabank, Texas and daughter Karla Mraz of Mabank, Texas; and her beloved dog “Cuddles”. She was called “Grandma” by 8 grandchildren; 13 great-grandchildren and 5 great-great grandchildren. Joe was employed by Southland Corporation and was a manager of a 7-11 in Mabank where she was well known in the community. She was a lovely and generous lady, who loved to read, work cross word puzzles, listen to country and western music, visit flea markets and antiquate malls, watching antique road shows on TV and a trip to the casinos now and then. She loved flowers and butterflies. To Native Americans the butterfly is a symbol of change and joy. The Christian Religion sees the butterfly as a symbol if resurrection, so when you see a butterfly - - - think of Joe and smile. She was a kind loving woman who always wanted to help someone. Bro. Rusty Yager with the Living Water Family Worship Ministries in Gun Barrel City, Texas will officiate for the Boudreau family. In lieu of flowers, donation may be made to Frist Baptist Church of Plano, Texas 1330 E. 15th Street - Plano, Texas ~ or ~ Living Water Family Worship Ministries in Gun Barrel City, Texas in Joe’s name. The Boudreau Family would like to extend an invite for everyone to join them at The China Café in Gun Barrel City for more fellowship.